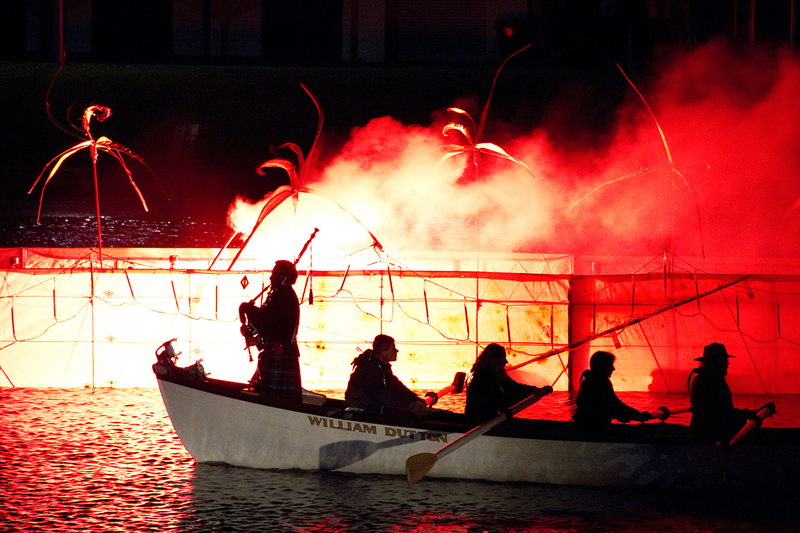 Illuminated by Fire is one the largest statewide arts residencies initiated in Victoria. Produced by Regional Arts Victoria, it took place over 18 months and across 11 regions. From Portland to Maldon and Swan Hill to Kinglake, 11 artists and their communities have delved into the role of fire and its impact, creating projects which offer an extraordinary exploration of what it means to live with fire. Illuminated by Fire celebrated the places we care about and the story and role of fire within those places. Working across Victoria, the project shared stories, increased understanding and created inspiring art, reinforcing resilience and celebrating place. These projects were launched in their regional areas in November 2010, and were showcased in Melbourne in June/July 2011 as part of The Light in Winter at Federation Square. The 11 projects worked across a diverse range of artistic practices, and fostered a sense of community and creativity while producing work both breathtaking and inspired. In Melbourne, the works were complemented with a series of talks presented by Kevin Tolhurst, Rob Gell, Donna Jackson, Bruce Esplin, John Schauble, Simone Blair, Robyn Archer, Arnold Zable, Danielle Clode, Carmel Wallace, Tracy Bourne and Catherine Larkins. These speakers offered the opportunity for audiences to engage more deeply with the theme of fire, art and resilience.